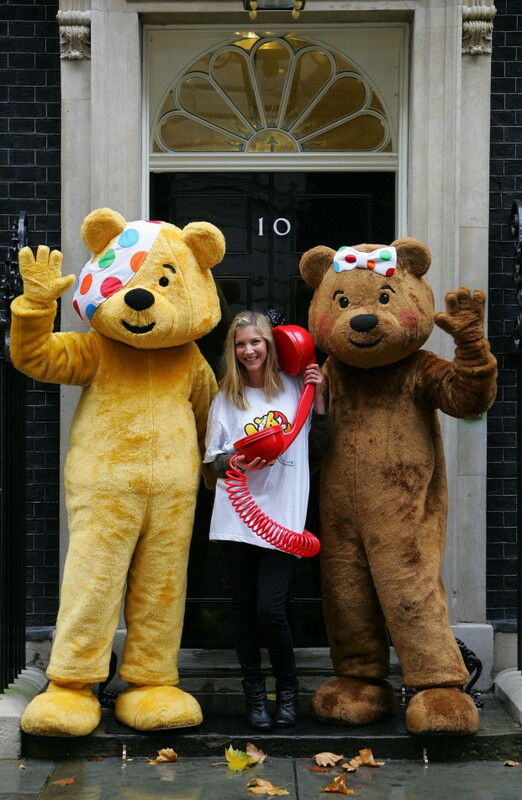 Lisa Faulkner and BBC Children in Need mascot Pudsey Bear have urged people to take part in BT Chat for Children. Lisa and Pudsey Bear made their calls to friends and family in the red BT phone box in Parliament Square, London. On Friday 12th November, BT will donate 1p for every BT landline and phone box phone call made and 25p for every call to BT's Directory Enquiry Service 118500* to BBC Children in Need as part of BT’s Chat for Children initiative to raise money for some of the most disadvantaged children right here in the UK. Last year thanks to the creativity and commitment of the British public, BBC Children in Need raised a record breaking total of £39 million, which is hard at work changing young lives for the better. UK actress and recent celebrity Master chef winner Lisa Faulkner, Pudsey and best friend Blush launched the appeal by making some calls from a classic red phone box in Parliament Square and other London locations. Non BT customers can still show their support by making a call from a BT payphone or calling BT’s Directory Enquiry Service 118 500 from any UK landline or mobile. *BT will donate 1p to The BBC Children in Need Appeal, a company limited by guarantee, for every phone call made by a BT consumer landline and calls customer, every call made from a BT phonebox, and 25p for every call to BT's Directory Enquiry Service 118500 from any phone operator, between 00.01 and 24.00 on the 12th November 2010.